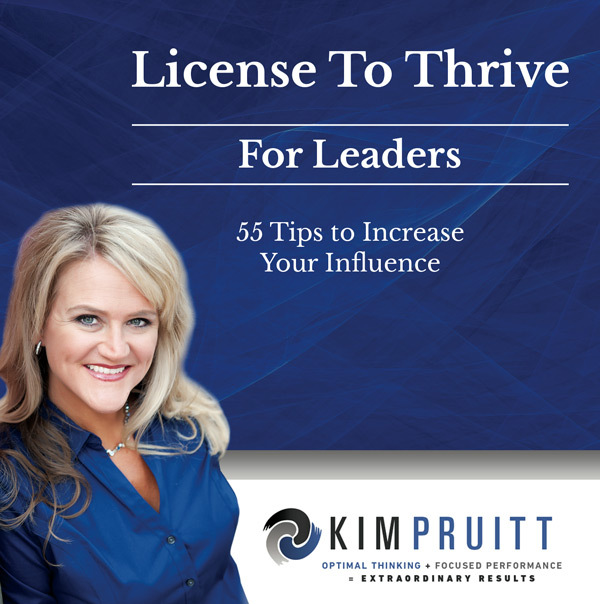 When you can increase your leadership influence, you’ll have a license to thrive. 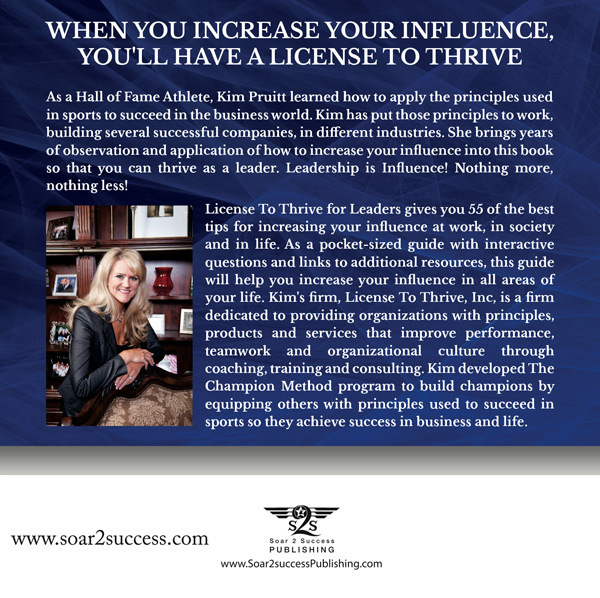 As a Hall of Fame Athlete, Kim Pruitt learned how to apply the principles used in sports to succeed in the business world. 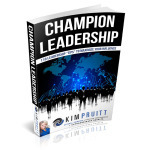 She brings years of observation and application of how to increase your influence into this book so that you can thrive as a leader. Leadership is Influence! Nothing more, nothing less! 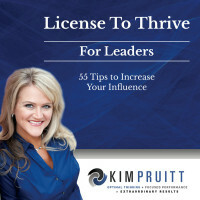 License to Thrive for Leaders gives you 55 of the best tips to increase your leadership influence at work, in society, and in life. As a pocket-sized guide with interactive questions and links to additional resources, this guide will help you increase your influence in all areas of your life.